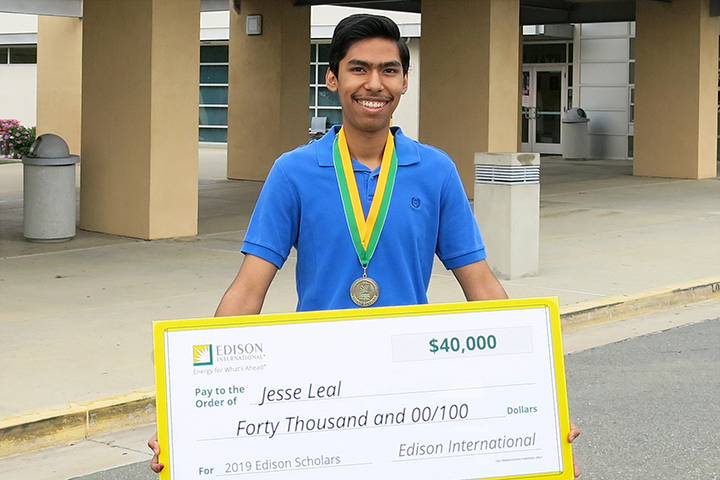 California Academy of Mathematics and Science senior Jesse Leal was surprised with a $40,000 scholarship from Southern California Edison recently at the school. Leal plans to major in mechanical engineering. The scholarship is one of 30 awarded to high school seniors who plan to major in science, technology, engineering and math studies. With the addition of the 2019 Edison Scholars, Edison International has awarded an estimated $9.9 million in scholarships to 640 students through the Edison Scholars Program since 2006.